In its early years, Inoways started with modular exhibition displays and is hence equipped to offer modular exhibition stalls that stand as individual as you are. Each stall is designed meticulously, making it easy to transport and be constructed with the greatest of ease. Adding to a wealth of variations and options, Inoways also offers Magnetic pop-up displays, connectors and customized fabricated and reusable structures, which can be combined to create a complete exhibition booth or trade show stand. We would like to introduce Inoways as a company offering end to end solution for Exhibition Stall designing and fabrication.Magnetic Popup systems allow quick, easy and tools free installation, they are light weighted and are easy to carry. We are own manufacturing company for Modular Setup from last 15 years so we have quality and warranty of other hardware parts repair- replacement. We are one of the leading organization engaged in providing excellent quality Modular Display Fixtures, which are manufactured by using high-grade materials. 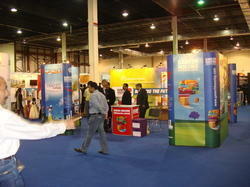 Moreover, these booths can also be customized in terms of designs and colors as per the requirements of our customers. These are available at affordable prices. 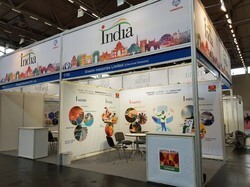 Inoways offers modular display systems in line with international standards. your brand business and project are always at the heart of our thinking, which is why we provide exclusively designed and custom-fabricated exhibition booths. we also recommend, create and install exhibition stands according to client requirements.not only this, we are also well known for our Self-engineered promotional displays, Foldable banner stands, Modular platforms, Flat frame podiums/Backdrops, Display fixtures, and Foldable counters. Our success lies in the cumulative efforts of competent and skilled team members, who meet all the practical constraints of the client in terms of space, size and budget with a personalized approach. 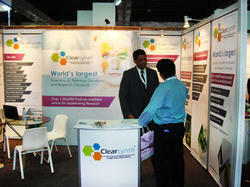 This is commitment and focus that brings us industry-wide accreditation in addition. Magentic pop-up system is a portable backdrop shelter that can be set up within minutes of arriving on site with no special tools. The structure is supported by composite struts. Inoways has been manufacturing magnetic pop-up systems for almost 15 years now with over 500 satisfied customers across the country. 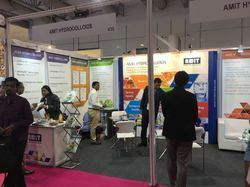 Owing to our vast experience in the industry, we are also involved in offering Modular Exhibition System, services to all our esteemed customers. All these service are rendered by our experienced professionals, who ensure that the requirement of the patrons are fulfilled. Our professionals use modern machines and technology, in order to ensure their adherence with the established norms and standards of the industry. We would like to introduce Inoways, as a company offering end to end solution for Exhibition Stall designing and fabrication. Portable Exhibition Kit, easy and tools free installation, they are light weighted and are easy to carry. We are own manufacturing company for Modular Setup from last 15 years so we have quality and warranty of other hardware parts repair- replacement. 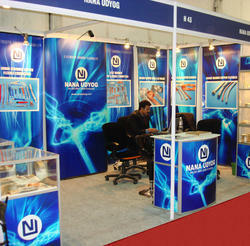 Looking for Modular Exhibition Stalls Gallery ?